Approximate reading time: 5 min. Review of the film Wild (2014) of the project What is good. Two “Oscar” nominations, a nomination to the “Golden Globe Award” . I can stop wondering at cunning game modern cinema plays with people’s minds. I have recently watched a “Wild” film starring Reese Witherspoon. At first, it was the very idea of it that attracted me. After a rough divorce with her husband a young woman Cheryl Strayed decides to go on a long and dangerous trip to American mountains. However, the main reason for the divorce was her drug addiction and constant cheating on her husband. But, as they say, are there any saints in this room? What really matters is that the woman has finally realized all her previous sins and now, in a hike, she can look inside herself in complete solitude, understand what has gone wrong and reconsider all her current life. This story has even reminded me of Mary of Egypt, a saint who was a loose woman, but was finally convicted of her sin and went to a desert wandering there for 40 years. It has something in common with the “Wild”, isn’t it? Here is where it gets interesting. At the beginning of the trip Cheryl finds out about getting pregnant after an ordinary one-night stand. So she decides to have an abortion to avoid any unnecessary difficulties during the trip. In my opinion, a woman who has embarked on a path of redemption can hardly think of an abortion. Forget the religious aspect that abortion is similar to a murder; such a decision is both the enormous damage for woman’s physical health and significant psychological trauma that shall last a lifetime. And can somebody have a healthy soul while their body is suffering? Probably, only moral people can. As for a woman having psychological experiences, a murder of her unborn baby can easily finish her off. Isn’t it absolute egoism to get rid of ballast before the trip, especially if this ‘ballast’ is your own baby? Nevertheless, Cheryl Strayed has an abortion. Next, on her dangerous route she flashes back to all she has gone through over the last few years. The character suffers many painful memories like the death of her mother who was very close to her, the divorce with her husband and various examples of her unfaithfulness. In her thoughts she recalls the past again and again. However, when the woman meets an attractive guy in a hike, she can’t help being intimate with him, as well as stopping drinking. So she keeps on making the same mistakes. At the end of the movie when her route is almost over, the woman comes up with an idea that her life is sacred and she has to let herself live. Cheryl also finds an excuse for her various intimacies saying, ‘I liked all those men,’ as if a strong desire is a good enough reason to give oneself up to passions. In the final, viewers inquire that soon after her adventure the character marries for love and has a baby. It’s like a happy end which tastes funny, isn’t it? In my personal opinion, the Western cinema is working to obliterate moral guidelines in people’s minds so that we can’t have a clear picture of what is good and what is bad. This will prevent us from finding right solutions to disputable daily issues. In Western movies regular malice is passed off as virtue, although it actually has nothing to do with it. Still, after such a mixing between the good and the evil the latter can’t reveal its original nature anymore. It’s ok if you are a person with clear moral guidelines who is able to separate the wheat from the chaff and knows exactly both sides. In this case you will never trust the movies like the “Wild” and they won’t lead you astray. But if are not such a person? On this occasion the only thing you can do is to use your head, analyze and let information through both your mind and heart. In the movie there are plenty of scenes extensively depicting use of drugs. Even though the main character is a drug addict, such details could be omitted. Also in a number of scenes we can see the woman drinkng alcohol. The movie is full of sexual moments too. From time to time viewers can see naked body of the main character as well as various examples of sexual promiscuity. In the classic sense, there are hardly any moments of violence in the “Wild”, except for the scenes, when the woman recalls memories from childhood in which her father was mocking at her mother. 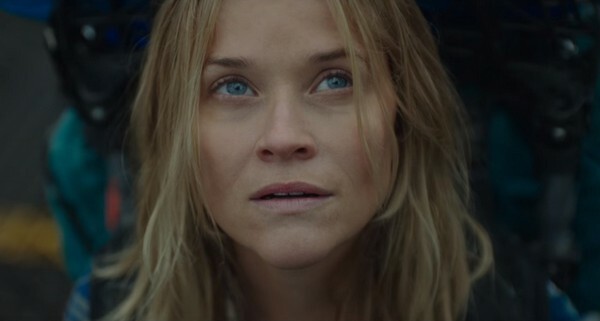 According to the description and advertising, the “Wild” should depict struggle of Cheryl Strayed against her vices. But instead, together with the main character viewers immerse into sins even deeper. The movie completely blurs the line between the good and the evil. In the “Wild” the darkest desires, as well as abortion and self-poisoning are justified and even encouraged. Both of them are shown as possible ways to solve personal problems.